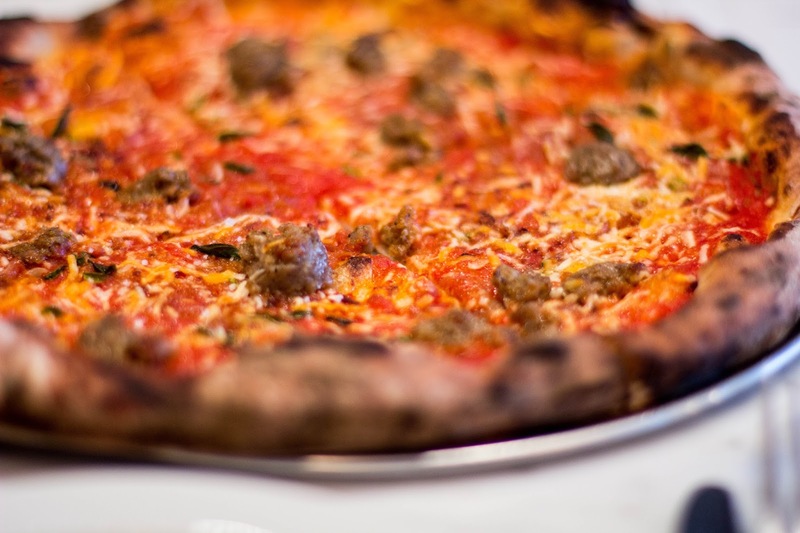 A few weekends ago, Luke & I visited Pizza Maria for a little date night. 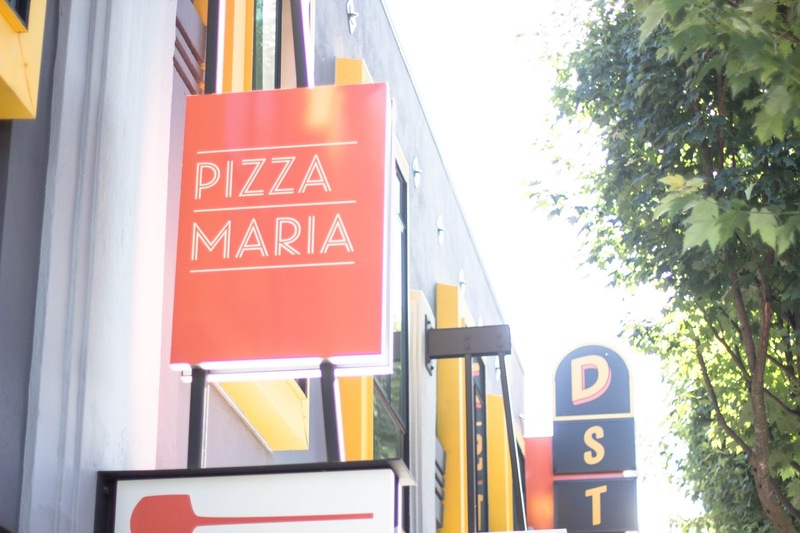 Pizza Maria is located on Division (an area that is quickly becoming one of my favorites), tucked right into a row of other cute restaurants. On the menu, they have only four different kinds of pizzas. At first I thought, WHAT only four?! Then realized that they make those four pizzas extremely well, so you really don't need more options to choose from. 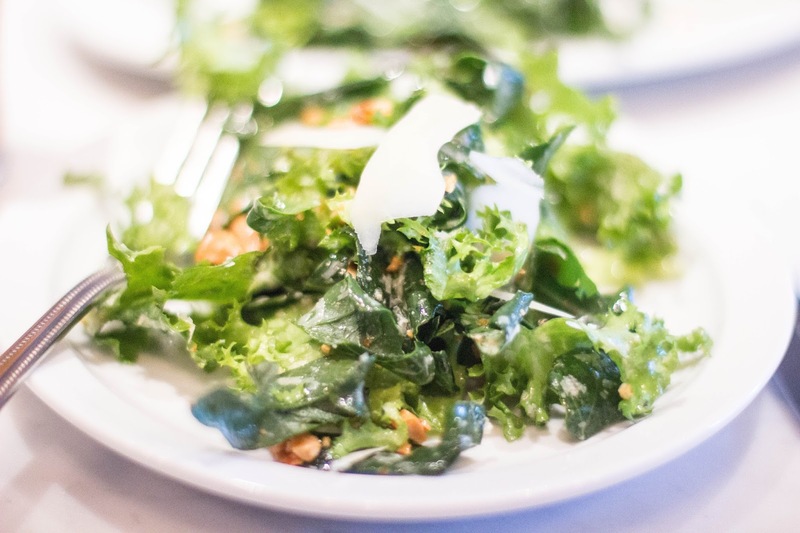 We started off with a salad, the "Spring Greens, Spanish Almonds, Piave, Smoked Paprika, Sherry Vinaigrette" and it was fantastic. We ordered the "Tomato, Red Onion, OP Sausage, Chili Flake, Pecorino Romano" pizza and it was amazing. 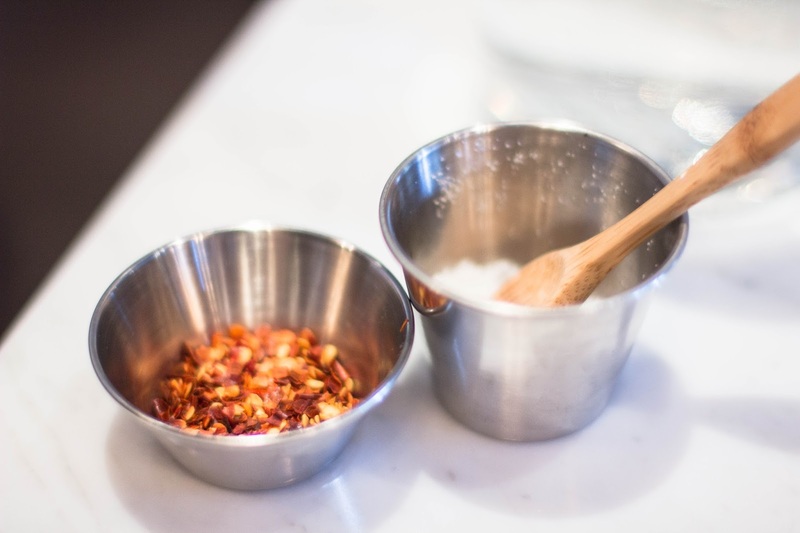 They bring out these little cups of red pepper flakes and salt to add to your pizzas. Although ours was seasoned perfectly when it was dropped off in front of us, those little cups were just too cute! 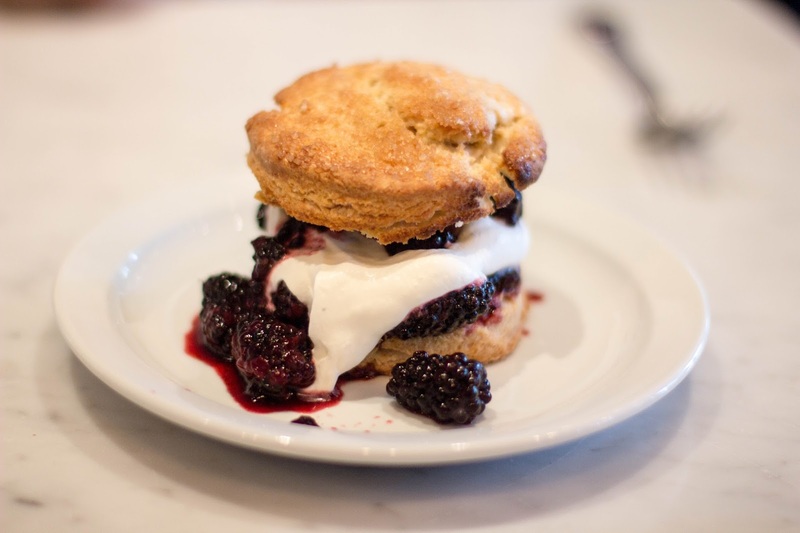 We finished off our meal with the homemade shortcake, blackberries and cream. We will be back soon to try the "Market Vegetables, Cream, Parmigiano" pizza, that one came in a close second! This is great! Actually going there tonight! Can I just skip to dessert? Everything looks delish!